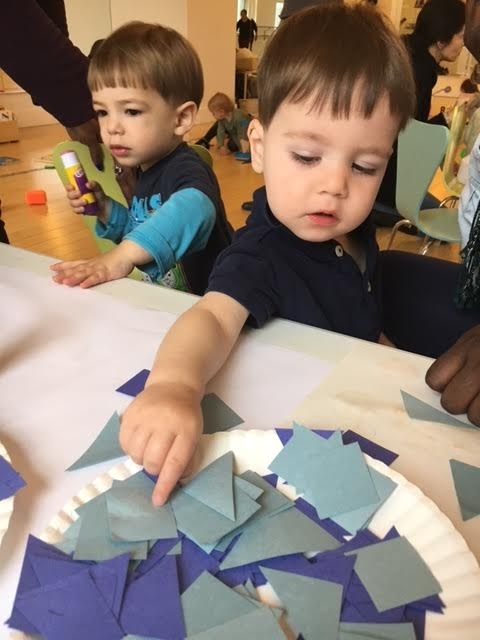 My Little Class is a signature MLS program that provides little ones with their caregivers an opportunity to explore a variety of fine and gross materials and sensory experiences, as well as a story time. 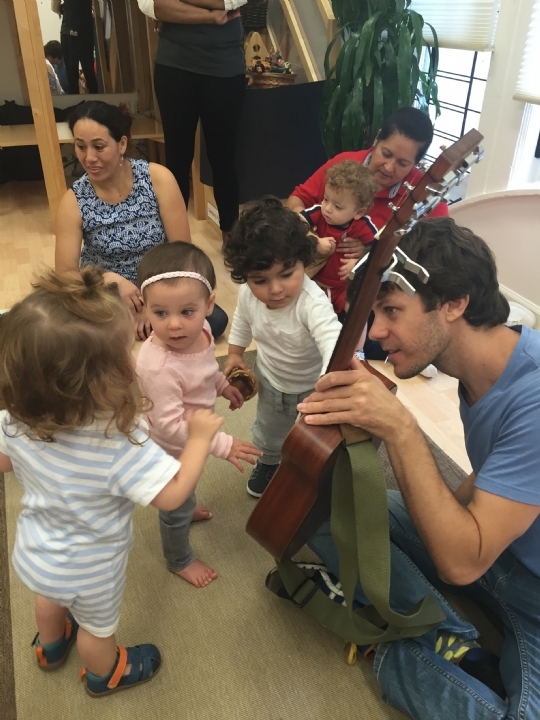 My Little Class also incorporates music and movement with our resident musician and fosters parent/caregiver education through developmentally centered conversations led by our parent educator. Children learn to transition from one activity to the next, building the foundation of a classroom routine. The primary goal of this program is to encourage the development of positive social skills and sense of self in a nurturing and supportive environment. Emphasis is on independence and communication and building a sense of community among the children. A lively pre Shabbat musical celebration for children ages 4 months - 3 years old, filled with singing, dancing, jumping & ending with a delicious challah to take home and share with your family. Jewish holidays are also woven into the curriculum and celebrated with special treats. Drop-in Classes: Drop-ins are only available space permitting. Please inquire about drop-in dates and fees by calling Jordana at 212-566-3007 or emailing jordana@mylittleschoolnyc.com. Cancellations: While My Little School will make every effort to offer all the classes posted on our website, we do reserve the right to cancel any classes due to low enrollment or staffing changes. Refund Policy: We offer a full refund prior to the start of the session. If you are not satisfied after your first class, My Little School will offer a 50% refund. Make-up Policy: If there is another parent/caregiver class that your child's age qualifies him/her for, My Little School will offer 1 make-up class for every 3 classes missed during a semester, subject to availability. Illness Procedure: Please leave children with a contagious ailment at home so that we can maintain a healthy environment. If children experience fever, vomiting or diarrhea, they should only come back to class once they have been symptom free for 24 hours. * My Little School shall not be liable for any injury or personal property.